Back in 1831, Professor Touery at the French Academy of Medicine drank what should have been a lethal dose of strychnine - but didn't die. The reason? Activated charcoal. Ever since, activated charcoal has been used when toxins are accidentally ingested, and has saved countless lives as a result. And, activated charcoal can do more than just save lives in those cases - and we're here to tell you how. Activated charcoal stops the absorption of the poison - which makes it great for improved adrenal, kidney, and liver function. Activated charcoal can be also used to reduce flatulence, treat hangover and bile flow issues in pregnant women, and lower cholesterol. Charcoal added to the diet of sheep for six months did not cause a loss of nutrients, as compared with sheep not receiving charcoal. … 5 % of the total diet was charcoal. It did not affect the blood or urinary levels of calcium, copper, iron, magnesium, inorganic phosphorus, potassium, sodium, zinc, creatinine, uric acid, urea nitrogen, alkaline phosphatase, total protein or urine pH. 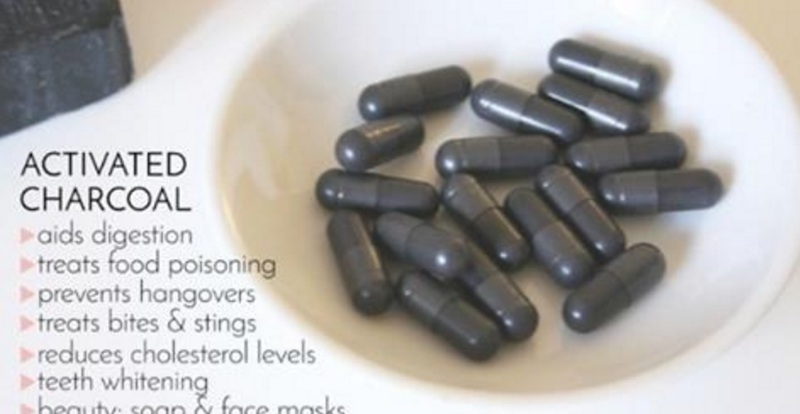 You can find activated charcoal in powder, liquid or tabled form. You can actually chew these tablets. We recommend, however, using it as a drink - simply stir a teaspoon of activated charcoal into a glass of water; drink this mix several times each day. Back in 1831, Professor Touery at the French Academy of Medicine drank what should have been a lethal dose of strychnine – but didn’t die. The reason? Activated charcoal. And, activated charcoal can do more than just save lives in those cases – and we’re here to tell you how. Activated charcoal stops the absorption of the poison – which makes it great for improved adrenal, kidney, and liver function. Activated charcoal can be also used to reduce flatulence, treat hangover and bile flow issues in pregnant women, and lower cholesterol. You can find activated charcoal in powder, liquid or tabled form. You can actually chew these tablets. We recommend, however, using it as a drink – simply stir a teaspoon of activated charcoal into a glass of water; drink this mix several times each day.